reconnect with unity of purpose. By now, if you’ve read the “KoF series”, you surely comprehend the holographic nature of as a model of the holographic universe. By thus realizing how pure geometry archetypes frame the fractal laws governing the order of the universe, and how those laws frame the holographic field of consciousness between your ears… and how those archetypal processes of consciousness resonate with the morphic fields of the Earth holodeck… you thus realize how this message takes some “massaging”☺ So rub it in with your own conscientious reading of this overview of the “Code to the Codes” (source code) for the Emerging Blueprint. By “getting it’, you reconnect with the light of as law and language, resonating with the divine order of the whole, holistic, healthy, holy or otherwise holographic universe… the same Unity Conscience that conceives and achieves as the Constitution of the gold standard for Holy Purpose at the heart of a Golden Age. as are referenced in this lesson preface to # V (FIVE). they can’t help but grow in service to that purpose. the greater the results for spiritual growth. has always been within you. you own up to it. Freedom is a different game than power. Power is about what you can control. Freedom is about what you can unleash. Happiness is knowing the difference. There is a divine order to Universal Co-Creation, and there's a divine destiny for the Family of Man in our new instant-everywhere and interactive global village. 'G.O.D." 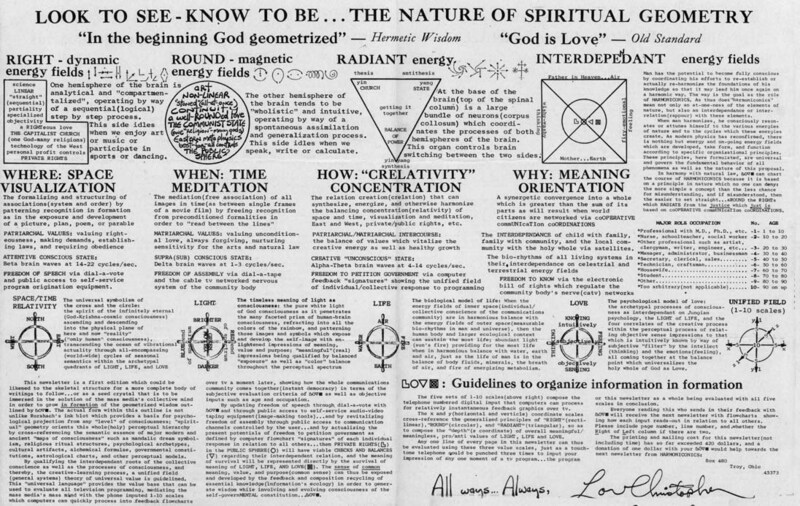 has methods... the order of the universe as the "Geometrically Ordered Divinity' (G.O.D.) which frames the 'Law of the Angles' with the 'Language of the Angels", i.e. the angels of our better nature devoted to freedom through the holy Spirit of LOVE-in-action. Spirit that matters in both form and frequency. a habit, in full Conscience. Global humanity has emerged as a global village with our new instant-everywhere and interactive Internet capabilities. And social Conscience as a holistic whole is finally beginning to catch up with the capabilities of our new Net reality. are beyond belief in the current world as we know it. This dynamic power has never been employed. ~ 4-D Vision for Conscious rEVOLUTION. Grasp the quantum reality folks. The energetic continuum of Earth and our consciousness has been shifting rapidly as our solar system crosses the Galactic plane and aligns with the stellar light of hundreds of billions of solar systems orbiting the Great Central Sun of our Milky Way Galaxy. looks like from deep space. 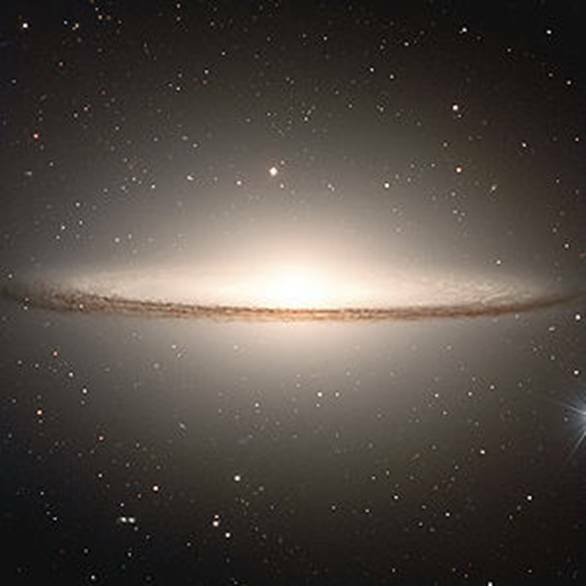 Note the Photon Belt of the Galactic Plane. That alignment has been progressively accelerating the rate of evolutionary change in global humanity for the last hundred years… from horse and buggy civilization to the elimination of global space/time with instant-everywhere-interactive 'Net reality' capabilities, the challenge of a new Unity Conscience. Think about that and connect the dots – where it’s going as the rate of change on Earth accelerates exponentially in our consciousness and the Earth body itself; it is ALL connected. We are ALL connected as never before in history. And HOW we connect NOW will determine WHERE global civilization is going. This is the quantum field of potential in the ocean of vibrational actuality that we subjugate as “reality”. the tides and gravity, we shall harness the power of love. Continued at 'Unity Conscience Part II"